Enjoy a trip trhoughout the mountains of Guerrero State, Interact with locals at Chilpancingo Downtown, capital of the State. Visit the famous destillery Los Magueyes where you will learn about the Mezcal process. Traditional lunch will be serve. Continue your journey towards Taxco, the well known Silver City, locate on the upper mountains and surronded by silver mines. Stay overnight at Taxco and enjoy the calm of the town, but a walk by the streets is an attractive idea. 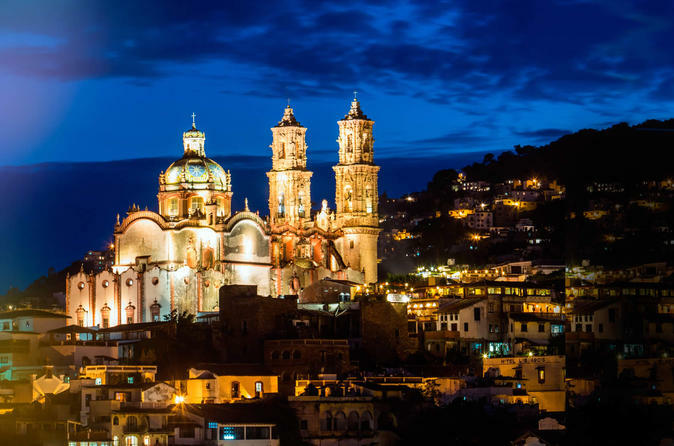 One day at Taxco requires much energy with that many things to do and visit; the market, The Cathedral of Santa Prisca, the Silver Stores and a chat with friends and family at the cafe in the main plaza. Tour guide, lunch at Distillery, hotel 3 stars and contineltal breakfast at Taxco included.